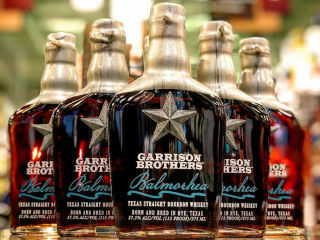 Garrison Brothers Distillery will partner with Truluck’s Seafood, Steak and Crab House to host a bourbon dinner benefitting West Texas’ treasured Balmorhea State Park. The four-course dinner will feature Garrison Brothers’ award-winning small-batch bourbon paired with chef-selected dishes. The dinner will include an exclusive cocktail reception where patrons can enjoy a bourbon tasting while they meet the people behind Garrison Brothers Texas Straight Bourbon Whiskey. Dan Garrison will be on hand at the event.